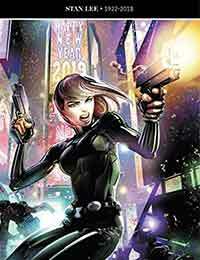 Black Widow (2019) Average 4.00/5 - out of 1 total votes. …AND HELL FOLLOWED WITH HER. Natasha Romanoff was trained to kill. For years now she’s tried to overcome that programming, to side with the angels…to be a hero. And where’d that get her? Killed. By one of the few true friends she allowed herself to have. Now she’s back from the dead, angry as hell and finding those better angels harder and harder to hear. Jen and Sylvia Soska — the Twisted Twins of horror — join rising artist Flaviano to weave a web of vice, violence and vengeance that will net Natasha the biggest bad men she’s ever faced… or put her back in the ground for good.